Do you have a microwave hood combination from Whirlpool Corporation installed in your kitchen? If so, keep reading for more information on an ongoing recall program involving 10 models from this manufacturer. On August 25, 2016, Whirlpool Corporation (in cooperation with the U.S. Consumer Product Safety Commission (CPSC) issued a recall of their Microwave Hood Combinations. The affected units were sold from January 2014 to April 2016 and were sold in the home appliance, home improvement, and retail stores across the United States as well as in Mexico. They were also installed by some home builders in houses constructed during the same time period. In total, about 15,000 units from 10 models were included in this particular recall notice. Information on the complete model and serial number lists can be found on the Whirlpool Corporation recall website. This appliance is being recalled because internal arcing in some units can catch an internal plastic component on fire. Five incidents have been reported to the U.S. CPSC, with three cases where the fire did occur – one of these incidents turning into a house fire. As of the time this post was written, no injuries have been reported. As part of the recall program, Whirlpool Corporation will replace the unit. 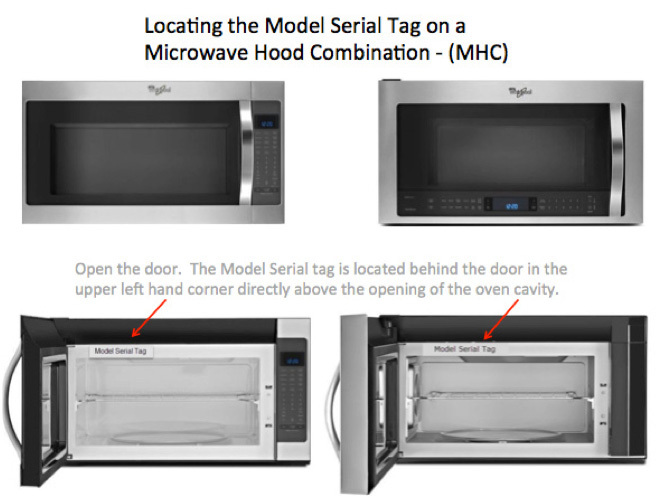 If you have a microwave hood combination from them that is included in the recall, contact them directly to start the process. You may do so by visiting the recall website linked above, or by calling their recall hotline number – 800-990-6254. Jerry’s Appliance Repair sends technicians out every day for appliance repairs throughout Indianapolis. If any of yours need service, contact us today. However, if your microwave hood combination is a part of the Whirlpool Corporation recall, we recommend that you contact them about replacing your unit.